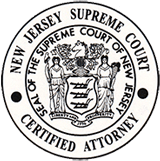 When a product that is defective causes injury to a person using the product, product liability becomes an issue. Product liability is when wholesalers, manufacturers, vendors, and distributors are liable for damages caused by their defective products. The manufacturers are held responsible for putting a product on the market that they should have known was dangerous. Any party in the chain of manufacture of the product may be considered responsible for a defective product, whether it be a manufacturer of the component parts or pieces of the product, a manufacturer that assembles the product, or the sellers/distributors of the product at the wholesaler and retail–store–owner level. Products are usually considered tangible retail property, but the definition can extend to anything, such as gas, pets, and real estate. Defective Design: When a mistake or oversight in the development of a product causes the product to become dangerous when manufactured and used as intended, the manufacturer may be considered liable. Manufacturing Defect: Liability occurs when there is a defect during the manufacturing process that makes the product more dangerous then originally intended. Defective Warning: Also known as marketing defects. This is when a manufacturer fails to provide adequate warning labels or instructions to warn of the dangers associated with the normal use of the product. Breach of Warranty: The manufacturer may be held liable for injuries suffered by the failure to conform to an express warranty. Even if there is no express statement, if the product is not fit for is intended use, there may be a breach of implied warranty. Strict Liability: If a product is more dangerous than an ordinary consumer would contemplate, the manufacturer could be held strictly liable for selling a defective and unreasonably dangerous product. In any instance, it must be proved that the product used was defective and that the injury incurred was caused by the defective product. 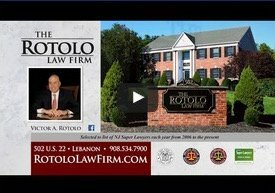 If you or a loved one has suffered from a injury due to a defective product, call Rotolo Karch Law. 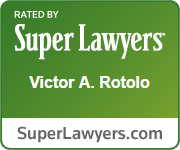 Make sure that your rights as a consumer are fully represented; contact Rotolo Karch Law.